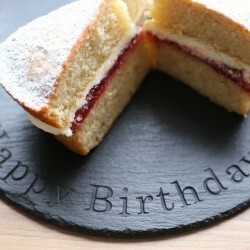 Beautiful kitchen and dining products, crafted to order using the finest handcut slate. Founded by Ema after she had the idea to combine her crafty side with her partner Grant's 20 years of experience working with slate. 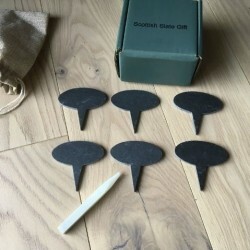 Now they carefully handcraft a range of slate gifts in their workshop in the Scottish Borders. 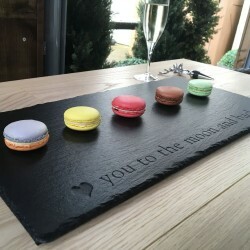 All their products are unique as no two slates are the same - but all are made with only high quality slate, and any personalisation is done with traditional deep engraving methods. 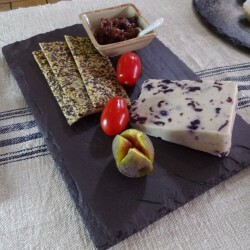 Their bespoke slate was featured on The Taste UK with Nigella Lawson.